Once upon a time, pets were magical creatures. (Some would say they still are.) They had healing properties, warded off evil spirits, and brought good luck and fortune to their fairy companions. Some Fairies rode dogs; others rode cats. The cat riding Fairies and the dog riding Fairies each lived on their own side of a great circular island with colorful birds, wiggling snakes, and clambering turtles. Neither fairy faction ventured into the other's territory. The Fairies quarreled because each group claimed their magic and animals were better. One day the Fairies had a magical duel to determine the matter once and for all - fairy dust flew everywhere! When the dust settled, the Fairies could hardly believe their eyes. Their island home had changed shape! They saw a dog and cat each sitting beside the other. The Fairies decided, if the cat and dog could get along and be together, so could they. Thereafter, all Fairies and pets shared the island they had re-named Petlandia equally and enjoyed good health and great fortune. 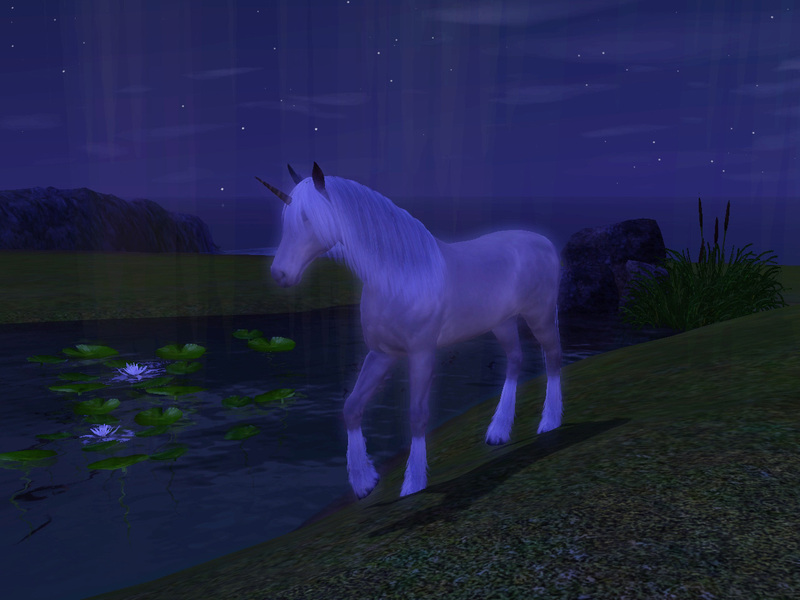 Later they were joined on the island by unicorns, graceful and beautiful, and strong and purposeful horses. Everyone lived happily ever after on Petlandia. Update 03/24/18! Some uneven lot edges in the dog's leg have been corrected. Players may wish to re-download the updated version of Petlandia - Empty. Sorry for any inconvenience! 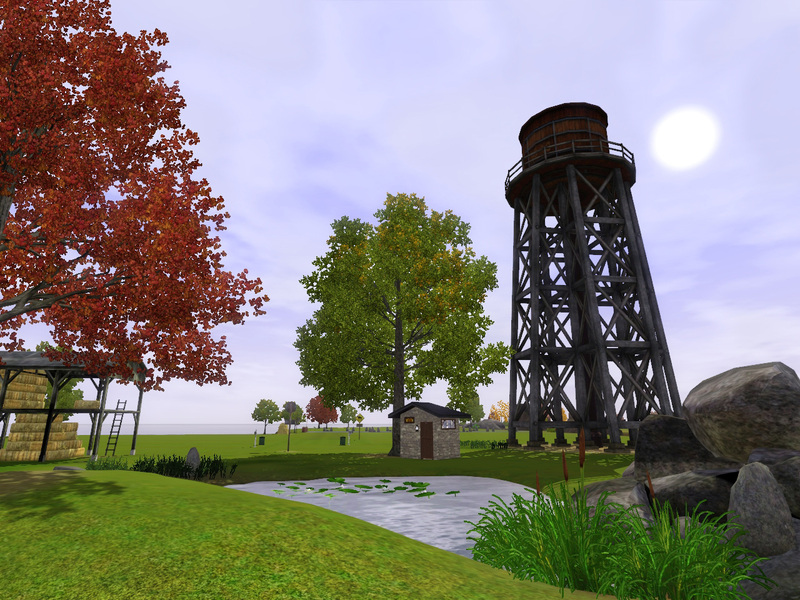 Petlandia - Empty is the first phase of the second group project by M4BCreators, a collection of simmers who build in TS2, TS3, and TS4. Group members include novice builders, experienced builders, and everything in between. We share WIPs, tricks and techniques, and are there to lend a helping hand or appraising eye. If you love to build, check out our Mentoring for Builders group. Map Size: Medium (1024x1024) with a smallish land mass, 28.4 MB. Spawn Points on Map or Lots: Base game - Aqua, Beetle, Butterfly, Fish (all except death fish and robot fish), Gem, Iron, Meteor, Seeds; Pets - Dog Dig Spot, Large Bird, Lizard, Rodent, Small Bird, Snake, Turtle. Effects: Flock of Birds, Flying Geese, Flying Seagulls, Meteor Shower, Ocean Surf and Waves, Sailboat. 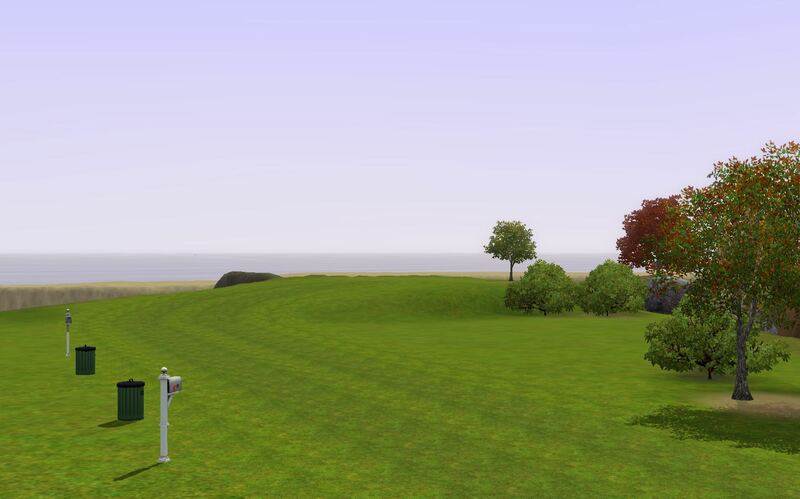 Routing Info: Sims cannot route up or down sides of the island or in valleys. Isolated routing "nodes" were eliminated to avoid "stuck" sims. The camera can go anywhere. There are no "hidden" spots on Petlandia - Empty. Layering: 8 layers - Objects, Trees & Flora, Lots, Spawners, Effects, Auto soils. Global layer cleaned. Textures: 15 textures total used with all being in-game textures. There are likely more than 8 textures per chunk in Petlandia - Empty but it does not appear to affect performance. 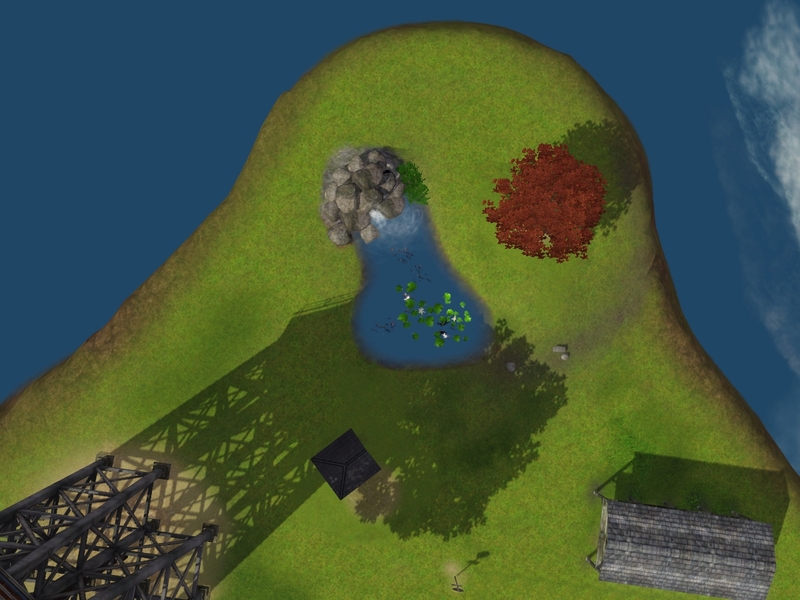 Petlandia - Empty's Fishing Spot has fog emitter effects on the lot - waterfall and waterfall splash - so, as with all custom worlds, players may have to open the world, save the world, and then play the saved version to enjoy the effects. Petlandia - Empty is NOT populated. There is no Custom Content in Petlandia - Empty. (World checked with CUSTARD.) Care was taken to use only base game and Pets items. 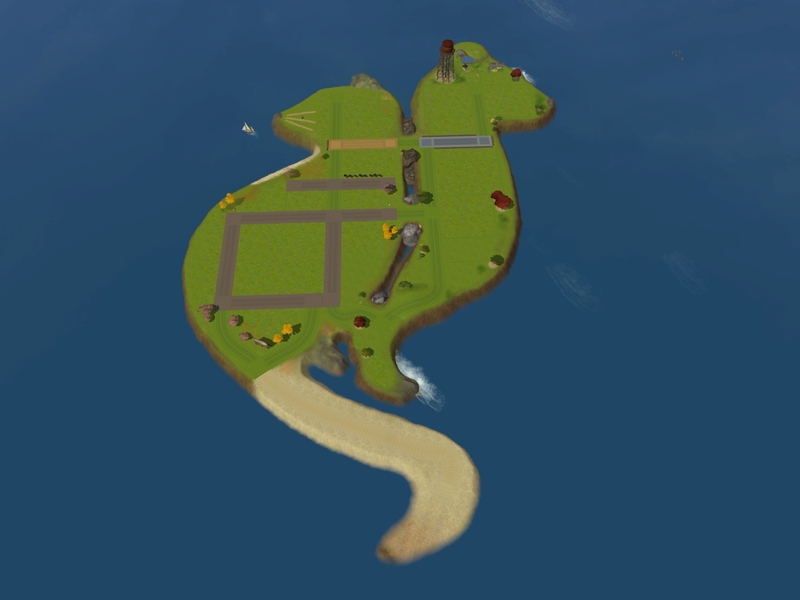 Petlandia - Empty Requirements: Only base game and Pets are required for Petlandia - Empty. 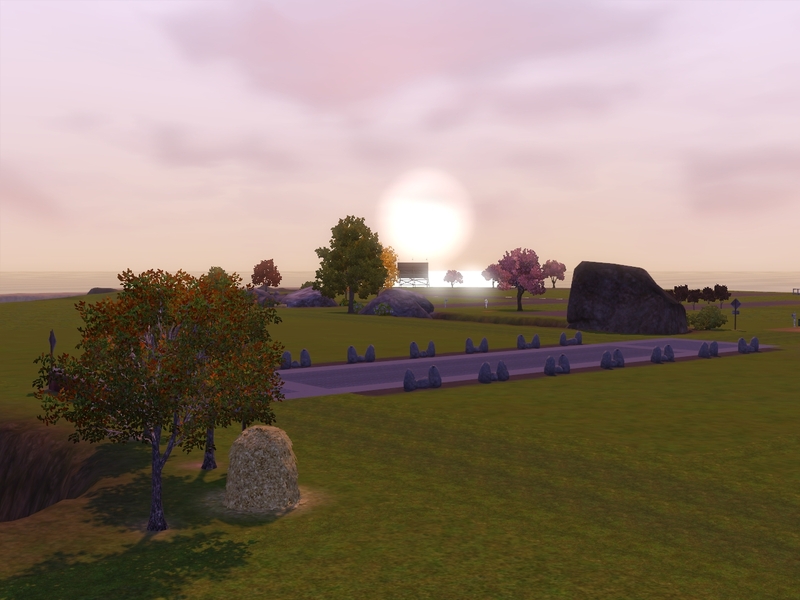 Streetlights, some decor items, and some spawners will be absent if player does not have Pets. The effect on playability is unknown. 44 lots total - 21 Community and 23 Residential. 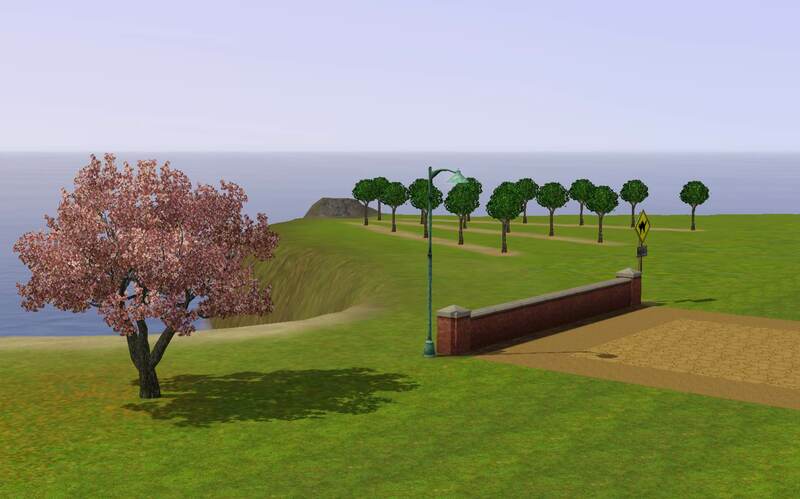 Most Community and Residential Lots can be interchanged in game as the player desires. A Fishing Spot and Beach are included. The Beach has only spawners. 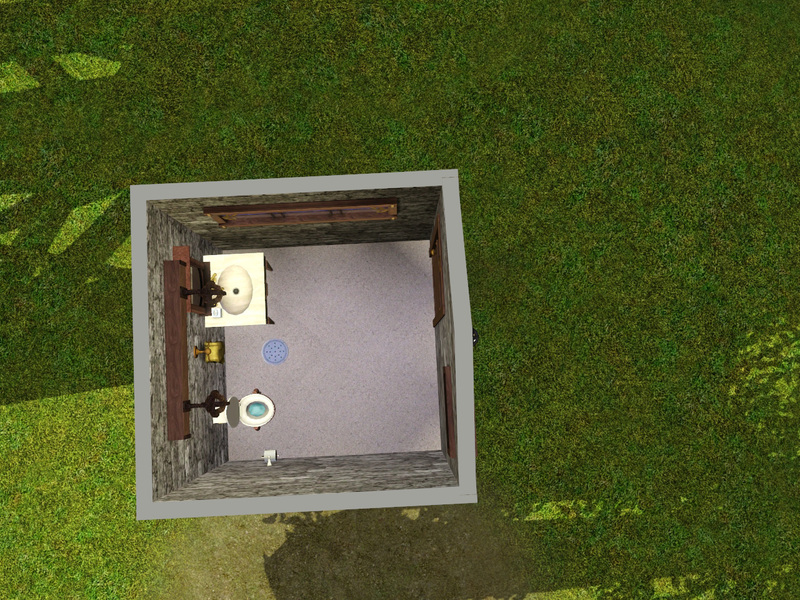 The Fishing Spot has a bathroom and spawners. A few Petlandia - Empty lots are accessible by sidewalk only - two 10x10 Community lots, the 10x20 Community lot, the Fishing Spot, a 10x15 Residential lot, and the 13x25 Residential lot. All the Mentoring for Builders and M4BCreators members for feedback and assistance.